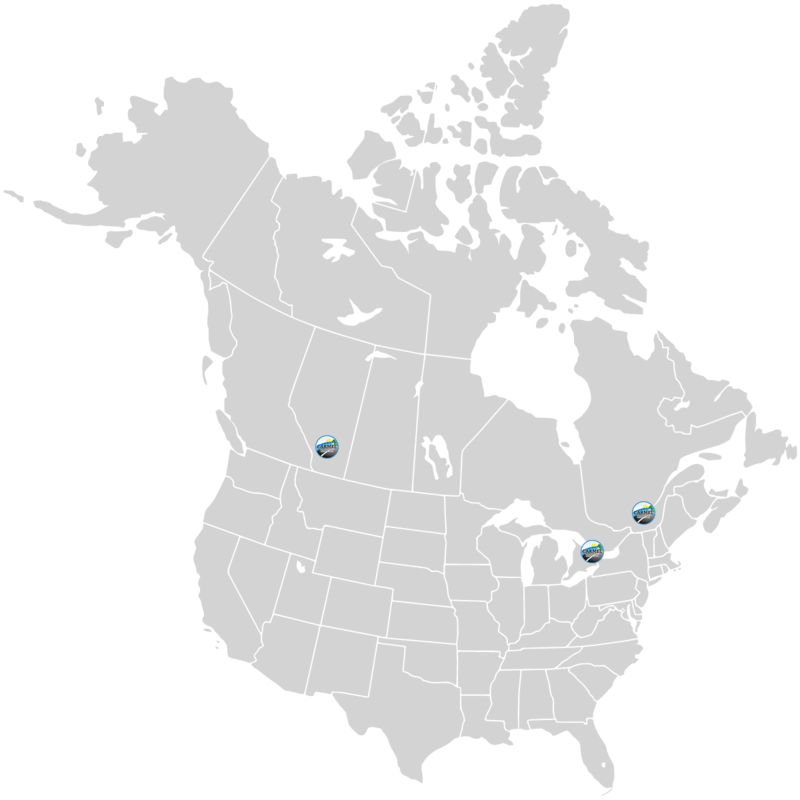 Over 20 Years Delivering Containers Across Canada & U.S.A.
Carmel Transport International Ltd was founded in 1991 by Robert Volfson and started out as a one-truck operation transporting ocean containers in Ontario. Robert believed in prompt and personal customer service, and that continues to be the backbone of Carmel Transport’s success in the intermodal industry. 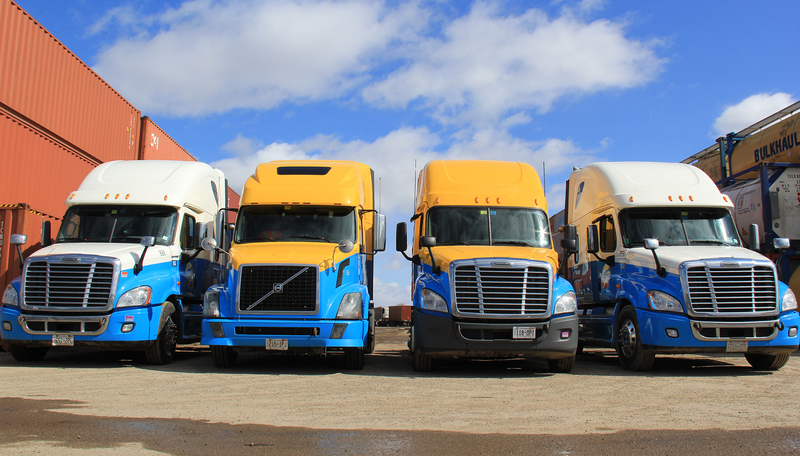 Today, Carmel Transport operates a fleet of 160 power units and over 600 chassis across three offices in Canada. The chassis fleet provides Carmel Transport with the ability to carry 20’, 40’, 45’ and 53’ dry and refrigerated containers. Supported by our yards strategically located close to the rail terminals in Mississauga, Carmel Transport is able to provide up to 10 acres of secured yard storage for both short and long term storage requirements. 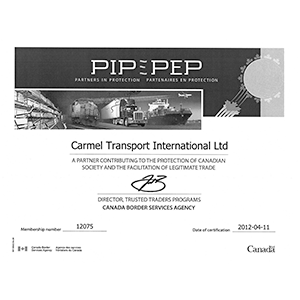 Carmel Transport International Ltd. is one of Ontario’s largest inter-modal transport container carriers. 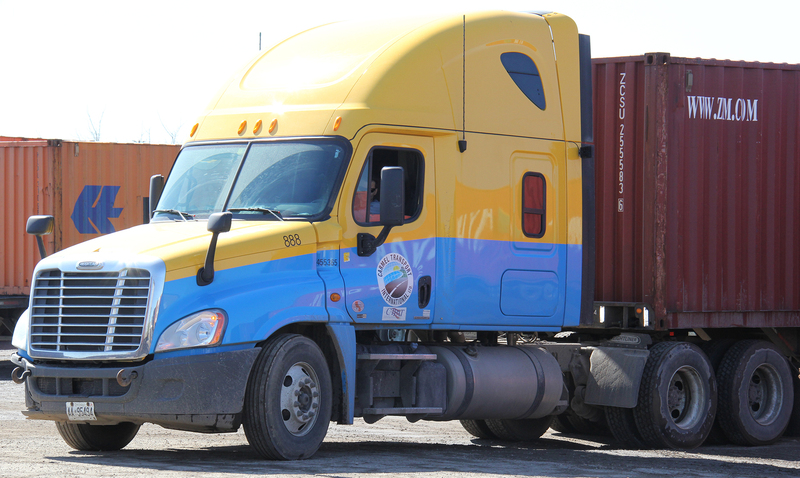 We safely transport dry, refrigerated or over size containers to and from any destination across North America. 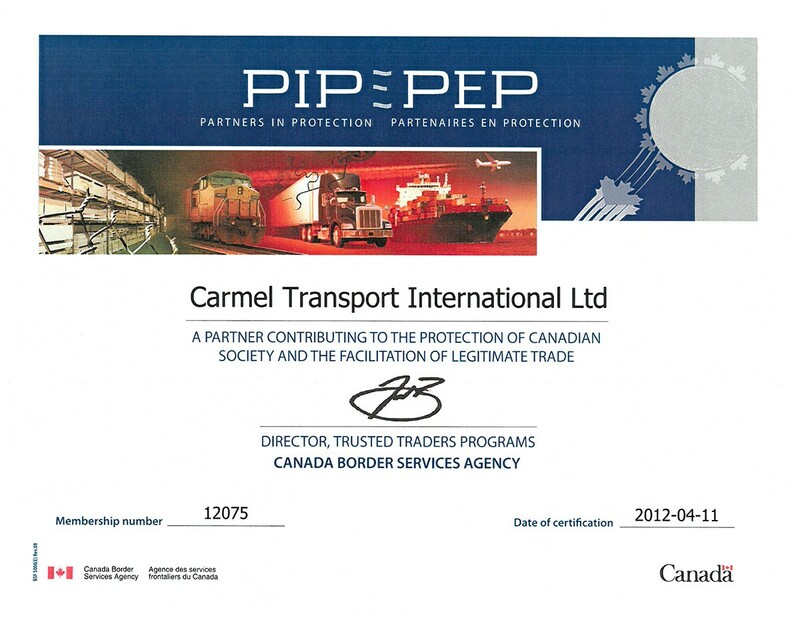 As a Canada Customs and Excise Bonded Carrier, we offer a full range of transportation services for bonded shipments. 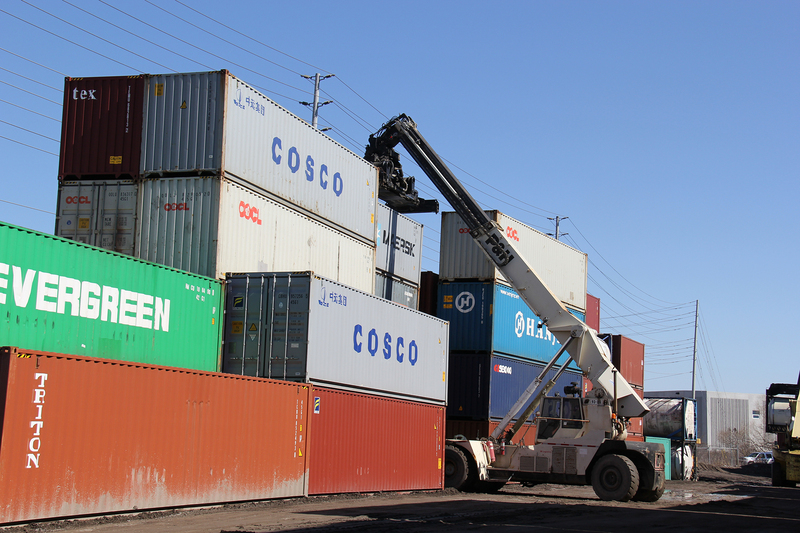 We take pride in our ability to offer flexible, comprehensive and cost-effective solutions for large volume of import containers. We offers a complete solution for storage (up to 30 containers) and transportation of refrigerated containers. As a Canada Customs and Excise Bonded Carrier and we offer the full range of transportation services for bonded shipments. We offer a complete container storage solution for dry-box, refrigerated and in-bond containers of all sizes. Want to hear about our competitive rates? We have utilized Carmel Transport’s services for both our Montreal and Ontario deliveries and we are very happy with their performance. We get reliable, quick and worry-free service from their very efficient staff. We have recommended their services to our other department and branches and we have no reservation to also recommend them to other companies. My name is Sue Murt and I am the import supervisors at JASForwarding in the US, specifically the Detroit area. My company is a freight forwarding and brokerage firm that handles import and export cargo from all over the world. I ran into an issue last week that required me to seek some assistance from a Canadian trucking company regarding an import container that was literally stuck in Montreal due to the fact there were some customs issues that no one wanted involvement with. In a nut shell I needed to get this container out of storage in Montreal and get onto a truck and have this transported to the US to go to a foreign trade zone in the US to take care of a customs issue before a formal customs entry could be processed. I hit a wall! I am not familiar with trucking companies in Canada nor did I have a clue where to even begin. Being resourceful I contacted my company in Montreal and I expressed to them what my issue was and asked if they could provide me with a reliable trucker to help me with my problem. Enter, Camel Transport, specifically Michael Basha! I explained my problem to Michael at great length without breathing because to me this was a hopeless problem that I didn’t think I could find a solution for. After speaking with him for a period of time, he advised me rather calmly that it was not going to be a problem, he could help me! I found my knight that was going to save the day for me! After speaking at great length as to what I needed for him to do I still was uncertain that what I needed could be done. He kept reassuring me I was worrying for nothing as I do about a lot of things! However, over the next few days we collectively with a little outside help here in the US were able to solve the issue that was at hand. The communication through out what I thought was a hopeless ordeal, was constant! I never felt as thought what he was telling me could not happen. So I let it rest and continued to believe that he really was going to be able to assist me. I am writing this to you to let you know that yes he sure did help me solve the problem that I encountered that I was doubtful of and I would highly recommend Michael and Carmel Transport for future transportation issues that anyone may encounter involving transportation from Canada to the US. We are in the home stretch with the transportation of my customer’s container and I would not hesitate to contact Michael again for assistance! Please accept this letter as a heartfelt recommendation from a person that has encountered numerous problems since being in this industry letting you know this turned out to be one of the best problems to solve with Michael’s help! I wish to inform you how fine a worker Anna is. She has been fantastic with our loads to Airboss, and got everything delivered from CN (only 1 free day) to customer with no extra charges. During this series of loads, she updated us, sent pod’s via scanned documents on emails, answered all requests promptly and managed the entire project VERY well. Tony Capuano is our owner and he also is very happy with her work. In addition, I enjoy talking with her and she seems like a very nice person, in addition to doing good work. Please accept my thanks to your company for a fine performance, and remember that Anna has a “knack” for keeping customers happy. I wish you well, and look forward to working more with Carmel. All the best. Enjoy your weekend. 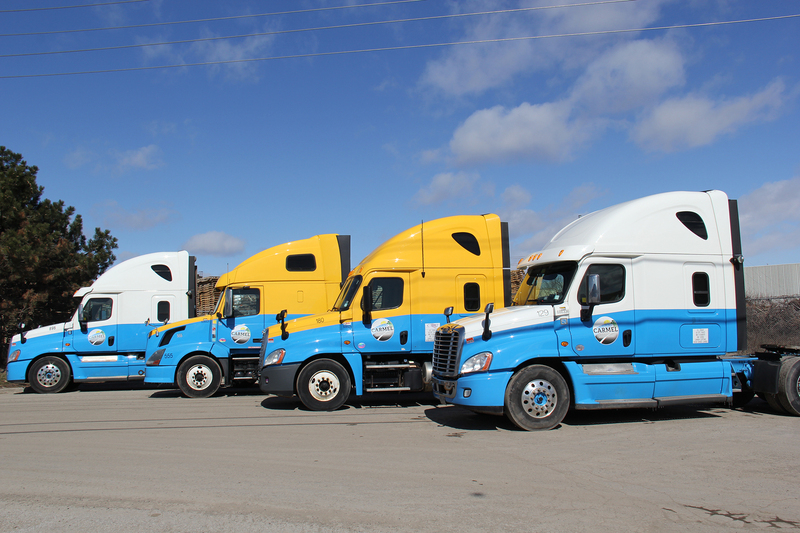 LFI Laurentide Forwarders (Canada) Inc.
Carmel Transport = dependable, thorough service with competitive rates. When booking with Carmel, we know that our customers interests are always in good hands. Of course!!!! You guys did an excellent job for both orders! St. Sophie & Mississauga as well! Headache free, no extra follow-up was needed, always on time, no hidden surprises ! So far I am very pleased with your service!!!! Just wanted to take a minute to send my thanks for all the cooperation and hard work your team does for us. We never have issues. Claudia and your team seem like mind readers and do what we need even before we ask it, and they make us feel like we are your most important customer. Keep up the great work!!!! As a broker, being able to trust your carriers is essential in providing high levels of customer service. 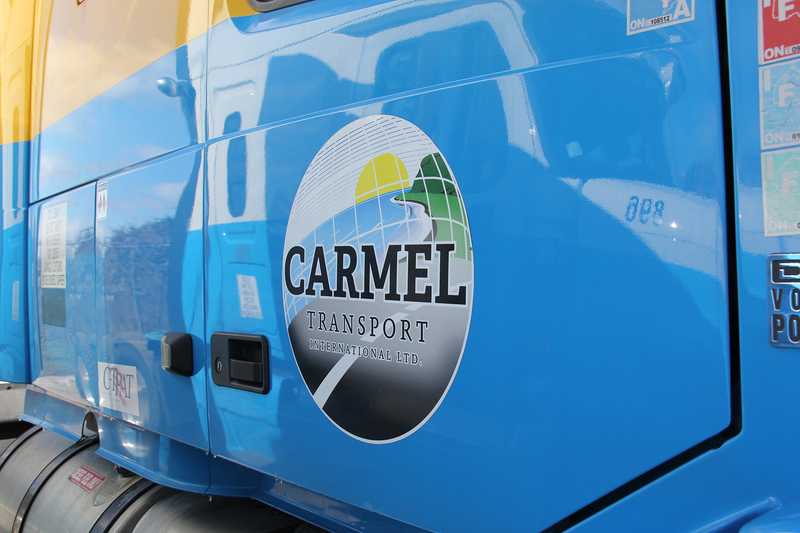 Carmel Transport flawlessly executed a large project for us in September 2012. Carmel’s staff demonstrated a high level of professionalism from the start. Thank you very much to Carmel’s management, especially Anna in Montreal, and to the drivers for all of your cooperation. YOU ARE THE BEST!!!!!!!!!! J and All at CARMEL!! I just want to take a few seconds to thank you for the delivery to Collingwood. My customer was very happy and I was told “how nice the driver was”. Thousand thanks Claudia, again the service level you provide your customers is exceptional. Congratulations for your excellent work.